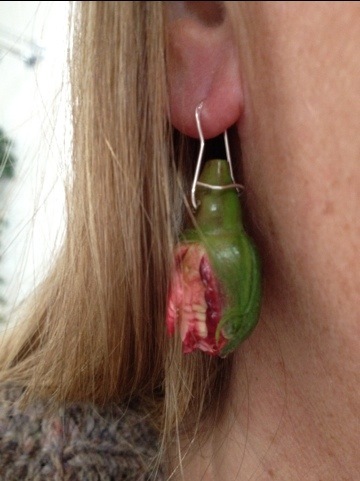 In order to make these the way that i did you will need to purchase earring “findings” at a craft store ahead of time. I bought these sterling sliver stick pin style earring parts at my local Michael’s craft store. Because I have an allergy to nickel I only make jewelry for myself using sterling silver findings but if you do not have this sensitivity you can use all sorts of different metal findings. There are lots to choose from. 1. 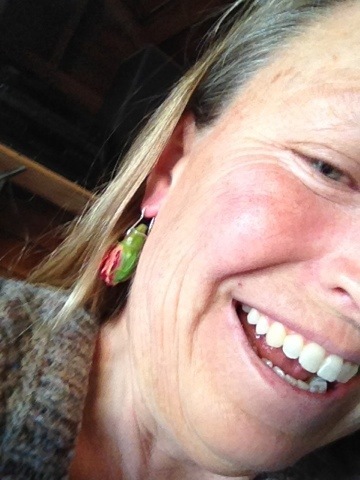 Pick 2 fresh rosebuds from your garden that you’d like to wear as earrings. 2. If they have mildew or bugs, don’t despair- it won’t hurt a thing. Just wash them with a little dish soap and buff dry with a soft cloth before proceeding. 3. 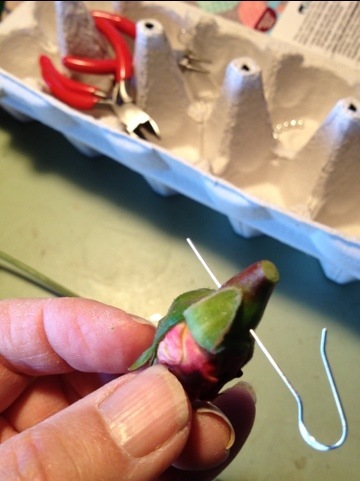 Trim the stems close to the future rose hip that is forming at the base of the rosebud. 4. Poke the earring wire into and all the way through the hip. 5. Using needle-nose pliers if you have them or tweezers if you don’t, bend the wires and secure them in such a way that the rosebud dangles down nicely from the ear. The two earrings will be slightly different, no matter how hard you try to make them even and symmetrical. Just make them to be similar not the same. 6. Put the earrings on and go! Posted in Herb of the Year!. 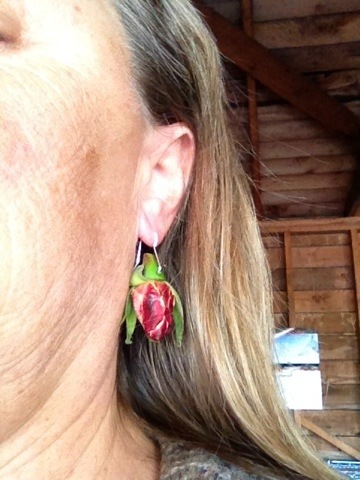 Tagged earrings, Easy flower crafts, fresh flower jewelry, roses. Previous: Previous post: My Ambrosia salad craving resulted in this! 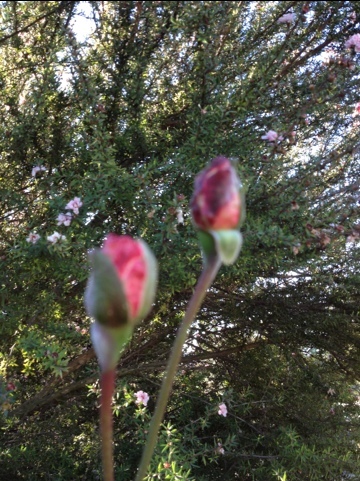 Next: Next post: You heard it here first…Roses are easy to grow.